I1QOD make copies of the PS-213 key. He is a retired aviation tool and die machinest and perhaps the fastest Morse operator in the world. He knows a good key. G0NVT makes a variation of the key. He is a retired Royal Navy Machinest, he does excellent work, especially with his historic reproductions. I am blessrd to call him a friend whom company I enjoy when he visits. I would buy a PS213 from Alfredo, I1QOD. He made a improved faithful reproduction. Improved because he put a beeded base on tge key, and corrected the earlier keys structural weakness. I have not tried Begali's best straight key, but I have used his best sideswiper from the same signature line of quality and that key is true perfection. I have sent the same amount on other sideswipers as Begali's top of the line, and had I known how good this key was, I would have bought it and never ever bought another sideswiper. Probably the best hand key has been made with the same care, but I have not used it. The best straight key I have ever used is the PS-213A key, it has a beautiful feel. The second best key is a copy made by G0NVT custom made for me with a full sub-base to stop tipping. An excellent key which captures nearly all of the feel of the PS-213A. The real one is just a bit better. The G0NVT current version has an ingenious basket spring tension and is a simplified version of the PS-213A reproduction he made. I had both but but I liked the one custom made for me. The current versiin is a very good key, but I would buy I1QOD's version as it is more authentic and I think the G0NVT curent simplified design changes the feel for me. Those are my comfort keys. Many SKCC members enjoy QRP and portable operation. Therefore, some of you may be interested in an upcoming Radio Relay International EMCOMM Exercise, which will emphasize portable CW operation. in a public park or similar setting. The Winter Classic Exchange "CX" radio event will be taking place Sunday Jan 21st and Tuesday Jan 23rd. Please consider hooking up your key, bug, or cootie to a vintage radio and join in the fun! I need to redo my antenna infrastructure after having solar panels installed on my house. I'm thinking of going for an end-fed half wave. In the MFJ ad they claim the EFHW will cover 80 m - 10 m without a tuner. If you have experience, good or bad, with an EFHW, I'd like to hear from you. Either via the group or personal email is fine. I have used a Myantennas.com 8010 EFHW for field day and other portable ops. The construction is much better than the MFJ version. SWR across all bands is excellent. I am going to put 2 up at my new QTH perpendicular to each other to cover some lobe gaps at the higher frequencies. I have been using an EFHW by MyAntennas.com for three months now with good results. Due to unique circumstances it is mounted on each end by ROHN telescoping masts about 30' high. The transmission line end also has a 6M ground-plane antenna mounted above it. I am looking to get a second to support portable ops. My radio's internal tuner hasn't had a problem. One shortcoming is the lack of 60M. Resonant on 80/40/30/20/17/15/12/10m 1.5 kW-ICAS max. I use an EFHW for 80 - 10 meters made by MyAntennas. 130 feet long I use it as a sloper from 50’ down to 15’ at the peak of my roof. No counterpoise required and tunes up without a tuner. I use the EFHW-4010 from myantennas. The only problem is running high power. The balun will only support 100W on WARC bands. On 40M running 500W after 5 minutes the SWR started to go higher probably the balun heating up. The balun was supposed to support 1000W ICAS. I bought a higher power balun and all is well. I tried one form of end fed HW, the Zepp, fed with balanced line. When I tried it there was so much RF in the shack the rig locked up on transmit any time I increased output beyond 20 W ! I took down and reconfigured this antenna to a center fed antenna. The problem was resolved, even with the balanced line coming right into the shack. .
Maybe useful, maybe not since nearby objects in the environment can affect ideal length. If you have a capable tuner shoot for closest to halfwave, if a less capable tuner then avoid them. I have an EF wire, but not EFHW, and I do use a tuner. The wire length is such that it can be easily matched for 10-160. The 10:1 ATU in my K3 can handle it but I use a manual tuner to keep the RF a couple of feet farther from me and the mouse & keyboard than it would otherwise be if the wire went straight into the back of the K3. Is my K3 ATU or manual tuner more efficient than the MFJ "no-tuner" EFHW? I don't know. I can regularly make contacts on all bands with it. Mostly use it for 20 thru 160. The MFJ no-tuner antenna would of course be more convenient to operate. But I don't mind cranking my manual tuner; in fact, I kind of like it. It's a bit retro with the surplus "ANTENNA LOADING" roller inductor and big Hammarlund knobs. It's bigger than my K3! I would go with the PAR antennas from LDG antennas. I have several bands of this antenna along with the trail friendly 40/20/10 antenna which travels very nicely with my FT817 when I travel. The other option is SotaBeams from the UK. I also have several of these and like them almost as much as LDG. They also make antenna masts that are great for travel as they shrink down small enough to fit in your travel bag. Good luck in finding an EFHW antenna. 1) I needed to put a common mode choke at the feed point of the antenna. I also put one in the shack at the amp. I did this to reduce RF in the shack with this antenna and also on receive it cut down the noise received significantly. 2) On 40M my VSWR is just short of 2 - 1 which is just under the minimum required for the AMP. My VSWR is OK on all other bands without a tuner. And some people have solved this by lowering the feedpoint. I live in a very grouchy HOA so have had to get by with antennas not visible from front side of the house. My choice for the past few years has been an end-fed long wire with a 9:1 UNUN feeding 53' of "16 gauge stranded, insulated copper wire suspended from a 20' pole at the back of the house out to a 16' post in the back yard. With 25' or more of coax feed line, no counter poise is required, and I experience satisfactory SWR (2.5 or less) on all bands 6-160 with minimal tweaking of the tuner in my K3 (most frequencies I see 1.1 or 1.2:1). The UNUN is from Balundesigns.com. It is $50 for their 300W model, slightly more for the KW version. On their web site they suggest a list of optional wire lengths, obviously the longer the better, all the way up to 170'+ as I recall. I hope this testimonial might inspire others to give this simple and cost effective antenna a try, especially if you are one of those who wishes a way to cover more SKCC frequencies and bands efficiently. Do you know Morse but still have to write everything down? Wish you could just hear it and understand? Want to improve your speed? Wondering if there’s a better way to practice? It builds listening skills without requiring you to write down anything and adapts as you get better. It’s free without ads (and will remain so), works on any modern web browser[*], and was built with mobile phones in mind so you can use it on the go. I’ve been using it myself to practice with good results. While I have ideas for how to develop it further, I need your help and input to make it truly good. Please check it out at the URL above and let me know what you think! [*] so far verified to work on Chrome, Firefox, and Microsoft Edge. I learned my Morse by listening to my SWL receiver starting in the late 1950's. Have been using Morse nearly every day on the air since 1961. Use straight key, Bug , and electronic keyer to make my Morse Music, don't need no stinkin' computers for it. How in the world did we ever learn and get proficient at CW without the internet and computers! It really is humorous at what people (think they) need today to gain proficiency. Turn off your computers and disconnect, turn on your radios and get on the air. Next week's topic for us old curmudgeons is how great life will be with an internet connected crock pot! Yep the guys who used LP discs and tapes to learn Morse and pass the exam, got home and turned on a radio and said "WOW what's all that noise and crap, I can never copy that !!! When I was learning I had the old S38 receiver hearing all that noise and QRM and got it down fine. Petru, that's a really fine application. Automatically introducing more characters and using actual combinations that will be received in contacts are innovative ideas. It is a much better way to go than the brainless "slogging" that is usually offered. We old wheezers have to keep in mind that long, long gone are the days when the beginner could cruise the c.w. bands to find a station operating at just the speed he needed to learn from. Gone, too, are the 20w.p.m. press and high seas maritime traffic. With propagation the way it is now, for many of us the c.w. bands are either an empty desert or, with a contest on, shoulder to shoulder with 35 w.p.m. Morse. Considering the absence of normal QSO traffic at a range of speeds, this cynical old man has had to conclude that most of those contesters are not just generating Morse by computer but reading it that way too. They are sure not achieving a reading speed of 35 w.p.m. these days by chatting with each other out on the bands. Yep,61 years I heard my first CW: I N T! 6 months later I copied 28 wpm. That was a result of US Coast Guard radio school. Now-a-days the only thing I write down are notes that I may want to refer to. Well, aren't you two just the cat's pajamas. Do you still ride a horse to the store and dial into the central operator when you want to make a phone call? if there are people that use mechanical sending devices to send CW, or belong to clubs that hold to that archaic view, in 2017 AD !! If we old curmudgeons had been offered a tool like this, many of us would have welcomed it! We used old methods (yes, they worked!) because that's what we had. Seems to me that anything that encourages the learning of morse code is worth a serious look and try. I think it is good also. There is a lack of word level Morse training software. As we all know there is much more to learning code than just recognizing the sounds of individual characters. "Not enough gap" is a common complaint of ops who haven't thrown away the learning crutch called "Farnsworth". Not say that it doesn't have its place on the air. Under poor conditions (such as mostly, now days) a bit of extra space is sometimes helpful, skcc numbers for example. But very seriously now, wide spacing is a learning tool that students ought to leave behind at some point. One dit spacing is standard; in fact, wider spacing is antagonistic to head copy. I can't get on it with this old Android phone. All that comes up is a blank grey screen. It might be that your browser doesn't support all the things the app needs to work. I need to make it explicit when this is happening so that users don't just get a blank screen. For Windows 7, were you using Internet Explorer? It unfortunately doesn't support the needed features for the app (as mentioned in the previous message, I'll make it report when this is happening instead of just showing a blank page). You can instead try either Chrome, Firefox, Safari for Windows, or Microsoft Edge (which unfortunately doesn't seem to work on Windows 7, so it might ask you to upgrade to Windows 10). I tried it for a bit. Short spare time right now, but every once in awhile, the first character was cut short at the beginning. QRS was sent KRS, cutting the first dah of Q.
I am using Fire Fox with WIN7 pro at 30 WPM. I will play with it more later. I agree, for head copy, Farnsworth would be a hindrance. I had fixed it since it's no longer happening for me. to see if other browser/OS combinations have this problem. I'm assuming you're using an up to date Firefox version? Just a quick reminder as the year begins. If you use a PC to log your contacts, keep your log file(s) in a safe place. A hard disk stores data on a spinning platter with a read/write head separated by a very thin layer of air. It's amazing how they work, but they are also a disaster waiting to happen. Personally, i find comfort in keeping my log files on a USB thumb drive permanently plugged into my PC which I backup periodically to another USB drive and to a hard disk. These USB drives are very affordable these days. Wow, John K8JD and Mark K3MSB. Really? A guy brings his own work on a possibly helpful tool for others here, for free, and you guys kick him for it? You guys feel the need to denigrate all who didn't do it the old fashioned way? Really guys, that's pretty low. 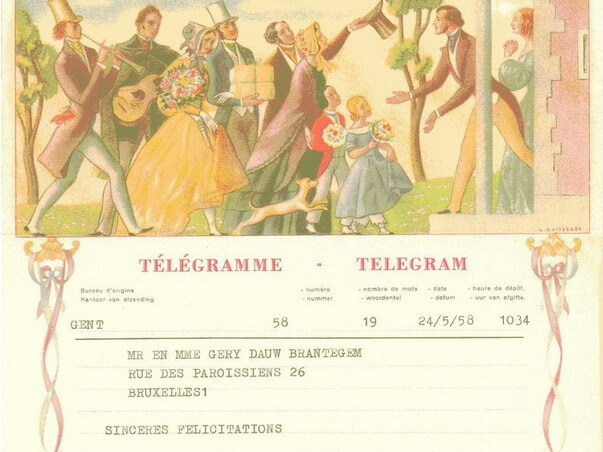 Smithsonian.com yesterday published an article stating that telegram service is coming to an end in Belgium. Obviously not done in Morse or Continental, and not with keys and sounders, but by printer circuits. More like a "commercial message service" than real telegrams. The telegraph system here in N.Z commenced in 1862, Morse transmission abandoned about 1963/4, telegrams ceased and telegraph branches closed in 1988. I was fortunate to be able work morse circuits (which were but a shadow of their early traffic handling) from 1952 to 1963. In the later years of telegrams in the USA they were all done by Teletype as well. Only American railroads used manual telegraphy right up until 1963 including when they were serving as Western Union offices in smaller towns. It was a shortage of qualified telegraphers rather than better technology that made the railroads give it up. The next was from 1927 and it stated that it was already 75% teleprinter by that time. The third from an actual WU 1941 typewritten report in the WU files kept in the local history division of the Rochester Public Library stated that it was 95% teleprinter at that time. The last from a joint book by WU and AT&T celebrating the 100th anniversary of the telegraph in 1944 stated that it was 97% at that time (In that same book AT&T stated that their private line business was 95% teleprinter in 1944 having started at zero in 1918). Now I am assuming that these numbers all represent percentage of messages handled but the reports were not clear as to exactly what the percentages represented in detail, just whatever percent of the business. Of course as Tom states, railroads continued to support Morse telegraph and if one dropped into a small town train station before the mid 1960's to send a telegram, it likely would at least be started on its way using Morse Code. Somewhere I came across a statement that WU dropped their last support for Morse Code in 1966 but the details of where and what were not stated. that was mainly because of a bad ice storm which took down the lines, which were not repaired. We still handled WU msgs on the wire in Illinois up until about 1967. A couple weeks ago, there was some discussion about recent controversy at the ARRL. which I did and got no response from any of them. I think we have cause for concern. 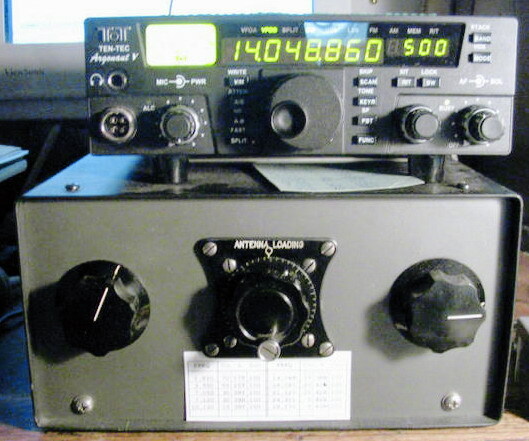 If is wasn't for the ARRL, there might not be any amateur radio today; certainly not to the extent we have it. If the ARRL turns starts operating like a 3rd world dictatorship, the future of amateur radio is very bleak indeed. The real question is this: "Do hams really care?" Most of us want to enjoy our hobby without drama. However, the ARRL is important to both members and non-members alike. It is viewed by important agencies, such as the FCC, as the de facto representative of the Amateur Radio Community. These incidents should be a big wake-up call to SKCC members and CW operators. The future of your operating interests lie in the hands of a few elected ARRL representatives. A failure to take heed could result in marginalization or outright destruction of your interests. I'd recommend that the link be shared with one's friends and distributed to local radio clubs. For ARRL members, it's now or never. In the interest of disclosure; I resigned my ARRL membership in 2016 in protest over the treatment of the NTS. "The optimist proclaims that we live in the best of all possible worlds, The pessimist fears this is true." Presidents and vice presidents are NOT supposed to lead. They are supposed to FOLLOW the will of the Board of Directors, who DIRECT. Presidents and vice presidents execute the will of the Directors who represent and are elected by the membership. Every organization with a President who leads without following the Directors quickly goes astray. a few years ago, Han-PA3HCY, sent me a copy of an article from QST, july 1960. He made this very sideswiper and used it a lot on air. Some oldtimers may recognize the article. For all: happy New Year! The Sun continues its slow descent into solar minimum with very low activity and shrinking coronal holes.